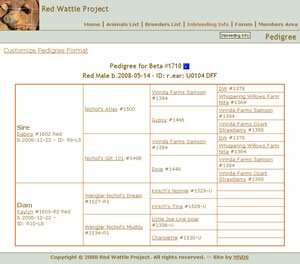 Overview: The Red Wattle Hog Association site (formerly the Red Wattle Project) is the official site for the Red Wattle Hog Association (RWHA). 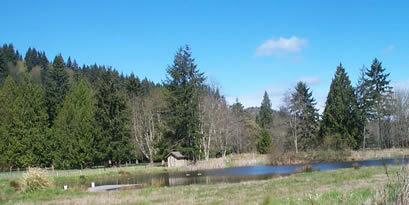 The site provides an online Breeders Directory and animal pedigrees and other data. Members can access a “Members Area” where they can upload pictures of the registered animals they own and also use Pedigree Analysis functions to calculate Wright’s Coefficient of Inbreeding (COI) on animals or hypothetical matings of animals in the online database. The site also includes a Forum for discussion of various topics relating to Red Wattle Hogs. Technology: This is a fully-custom PHP/MySQL design, except for the Forum which uses the phpBB forum package.